Critically acclaimed author Denise Hamilton weaves an engrossing story of teenage friendship and adult betrayal, featuring a high-powered crisis consultant who gets swept up in murder and scandal involving a wealthy political family. Maggie Silver is solidly middle class, with a mortgage to pay and an ill mother to support. She is doing her best to scramble up the ladder at an elite PR firm in Southern California whose clients include movie stars and famous athletes. Now, Maggie tackles her toughest client yet: Senator Henry Paxton, a distinguished statesman who also happens to be the father of Anabelle, Maggie’s estranged best friend from high school. Senator Paxton’s young female aide has been found murdered, and Maggie must run damage control to prevent the scandal from growing. Thrown back into the Paxtons’ glamorous world, Maggie is unexpectedly flooded with memories from the stormy years in high school when her friendship with Anabelle was dramatically severed after a tragedy that neither of them has been able to forget. As Maggie gets further embroiled in the lives of the Paxtons, she realizes that the ties of her old friendship are stronger than she thinks. 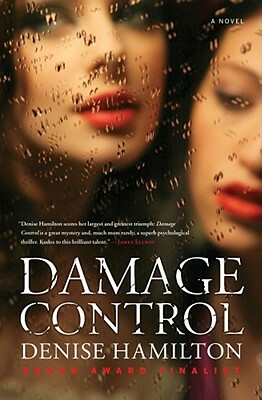 Riveting and suspense-filled, Damage Control examines our craving for celebrity and spectacle, and how far the bonds of friendship can stretch before they break forever.